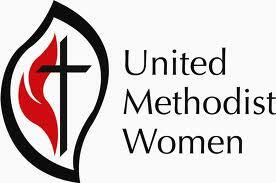 UMW's Women Working for Jesus is supporting Citrus County Blessings, this organization provides weekend meals for qualified school children on free or reduced lunches throughout the school year. Over 1000 children, almost 1/5thof the student population of Citrus County, receive a backpack on Friday afternoon with meals for the weekend for themselves and their siblings. The annual cost per child is $100 and meals are provided September to May, excluding holidays. There are several items that Blessings cannot purchase with their budget. Please consider adding any of these items to your weekly shopping list. Bring them to the bin at the Connection Point and WWFJ will get them to Citrus County Blessings. Needed items are individual size cereal boxes, Non-refrigerated(boxed) milk, peanut butter and jelly (assorted-must be in plastic containers), also individual snacks, crackers, fruit cups, meals or meat. Please contact Sherri Soluri or Nancy Hammond for more information or questions. Thank you for your support. to develop a creative, supportive fellowship; and to expand concepts of mission through participation in the global ministries of the church. Stephen Ministry is a lay caring ministry. Stephen ministers are not counselors or therapists; rather, they are caring Christian friends who can offer a listening ear to help others through the tough times in life. Stephen Ministers are trained and supervised in their ministry. If you are going through a tough time and could use a caring frined, call a Stephen Minister at (352) 795-0068.